New skirting installed around the TV Van at Ubon during the spring of l970. As a teen, J.W. Bradbury would listen to Atlanta’s rock-and-roll disc jockeys for hours. His home had an intercom, and he’d set up his old turntable and play “DJ” for his sister and her friends. That’s when people first heard his golden voice. At 18, he joined the Air Force — two months before the bloody Tet Offensive of the Vietnam War. His voice got him a job, over hundreds of applicants, as a military broadcaster. A year later, he volunteered for duty in Southeast Asia. 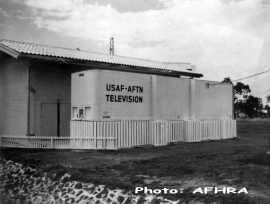 His first Armed Forces Radio and Television Service station was at Udorn Royal Thai Air Base, Thailand. 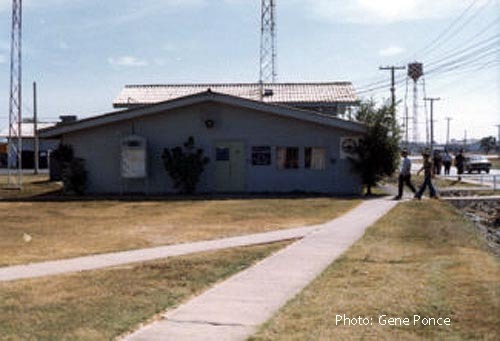 But the day prior, an F-4 Phantom jet crashed into the station destroying it and killing nine airmen. The worst disaster that the AFRTS family has faced. 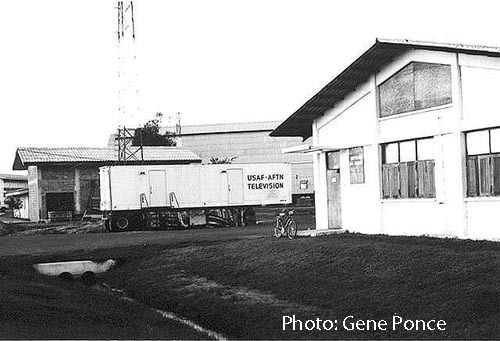 So he was diverted to the base at Ubon, where he got his first harrowing look at the war. “I had just landed on a C-130 transport when the base came under mortar attack,” he said. “My only thought was ‘don’t shoot me, I’m just the DJ.’” As it turned out, the base’s radio and television station — his future office — was the target. Mr. Bradbury said having “been there” makes him keenly aware of the needs of military listeners and their families overseas. Many are away from home for the first time and feel lonely.